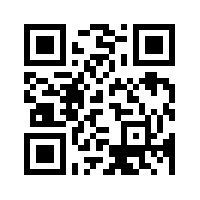 Why not download our smartphone App, search for Paul Austen Associates in the app store or scan the QR code. This free App has been carefully designed in response to the growing use of smart phones and mobile devices used by our clients and prospects. It’s available for both iPhone and Android users and you can download it free from the App store or use the QR code on our website. The Paul Austen Associates App will enable you to calculate the tax on certain company cars or check the amount of tax you might be paying. It will give you the power to check Stamp Duty costs or see how you might increase your profits as a business. You can also book a meeting with Paul Austen using our integrated ‘book an appointment’ service. Why did Paul Austen Associates, Chartered Accountants develop its own App? We like to think that we are a proactive and refreshingly different firm of accountants. Helping companies across Cheshire to become more successful, more profitable and ultimately more enjoyable to run. The Paul Austen Associates App gives you fantastic content plus it makes it really easy to keep in touch. It has a simple ‘book an appointment’ page along with all our contact information, details of all our team members and ways we have recently helped our clients, as well as links to our social media pages. We hope you enjoy the Paul Austen Associates App. Receipt Management – Never lose a Receipt Again !